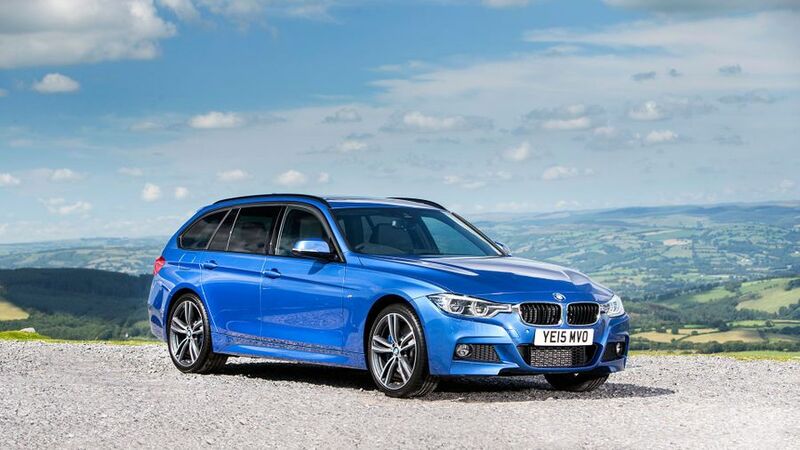 The latest 3 Series Touring is a family car for those who are still young at heart. It offers keen drivers plenty of reward, has a brilliant automatic gearbox, and some impressively low running costs for company car drivers. However, it's not as plush or as refined as the latest Audi A4 Avant, nor as well equipped as a Mercedes C-Class. Still, it has such a wide range of abilities that, as an all-rounder, it's still one of the best small estates. The BMW 3 Series is a car that has evolved steadily over time, and the bulk of the changes for 2015 are rather hard to spot unless you’re a brand historian. If you do look closely, though, the slim headlights are now set further apart than before, and come with the option of full LED illumination for the first time. There’s a pair of larger air-intakes integrated into the front bumper, and the two 'kidney' grilles can be had in different finishes, including chrome, silver or black. The 3 Series has three distinct design themes. Sport models have a more aggressive look courtesy of gloss black air-intakes, grilles and tailpipes. Cars in Luxury trim have more chrome details and multi-spoke alloys. The priciest M Sport versions get deeper and more aggressive bumpers and lightweight alloy wheels. Efficient Dynamics models also feature a subtly tweaked front end to maximise the aerodynamics, though you’d have to be eagle-eyed to spot the changes, even up close. Interior quality is marginally improved, but the 3 Series is no longer the class benchmark in this area; that honour falls to the Audi A4 Avant. A standard 6.5-inch screen sits above the central air vents, adding to the visual appeal and functionality of the cabin. The latest model has a few extra smatterings of gloss black plastic and chrome on the climate and stereo control clusters. On lower trim levels, though, major touch points like the steering wheel and seat adjusters don't feel as premium as they should. Design themes are carried over from the exterior, so Sport models get gloss black trim with red highlights, chrome rings around the dials and red stitching. The Luxury trim adds leather upholstery and chrome interior trim, with wood door cappings. 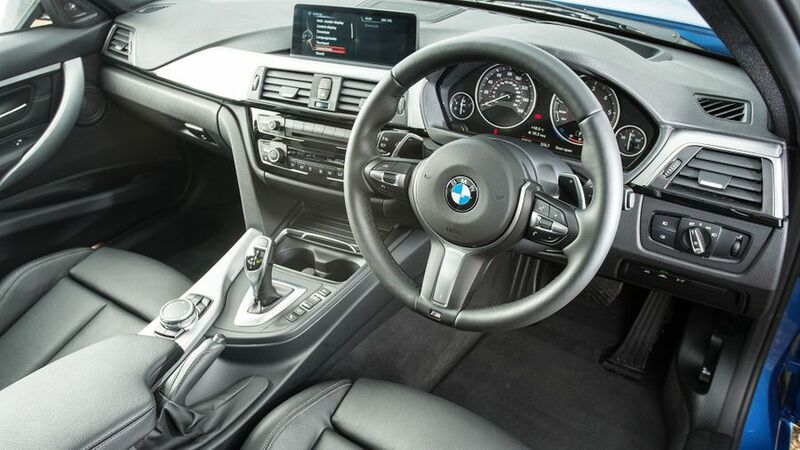 M Sport buyers will love the black interior with numerous ‘M’ logos and the thick-rimmed three-spoke steering wheel. The driving position is good, especially with the wonderfully supportive sports seats fitted, and visibility is excellent. However, the manual seat height adjusters are a faff because you have to pull a lever and lift your weight out of the seat to shift it. None of the cars in this class manage to offer the kind of space you'd find in their larger equivalents, which aren't too far away on price, but the 3 Series has always done a decent job of catering for the driver and three adults. It offers more generous head- and leg-room in the back than a lot of its competitors, and doesn’t feel narrow or cramped up front. Still, a raised transmission tunnel does mean fitting three across the rear bench is a little tricky. The important bit – the boot – is a competitive size at 495 litres, but it’s not quite as big as the space you get in an Audi A4 Avant. It’s not as square either, due to protruding rear wheel arches. Rear seats split 40/20/40 are standard, giving you plenty of options for simultaneous seating and stowing. The chairs lie almost flat when you fold them down, too, but unlike many estate cars, there are no levers in the boot to release the seats, only on the top of the backrests. Still, it’s handy that the rear window opens independently of the rest of the tailgate, allowing you access to the boot when you’re either in a hurry or in a tight space. BMW has set the pace for ride and handling in the compact executive class for as long as anyone can remember, and although the chasing pack have seriously raised their game recently, the 3 Series is still a really good car to drive. It always feels balanced and composed on any type of road, although the size of wheels – and the type of tyres they are shod in – will have a big impact on the amount of grip available. So will your choice of rear-wheel drive or four-wheel drive (known as xDrive): both are grippy, but the xDrive appreciably more so. As impressive as the 3 Series is, we must temper our praise with a caveat. So far, we've only driven it on the optional Adaptive suspension, which stiffens the suspension and sharpens the steering and throttle response according to which driving mode you select. It's very effective, but we don't yet know how the car rides or handles on its standard suspension setup. If it's anything like the pre-facelift car, it won't be nearly as impressive on either count. In contrast, we’d say it’s not worth adding the optional steering systems (there are two to choose from), because they don’t add much to the overall experience. The 3 Series really does have an enviable line-up of power plants to choose from, all of which perform well. On the diesel side, the range goes from a modest 114bhp in the four-cylinder 316d, to a towering 309bhp in the straight-six, twin-turbo 335d. 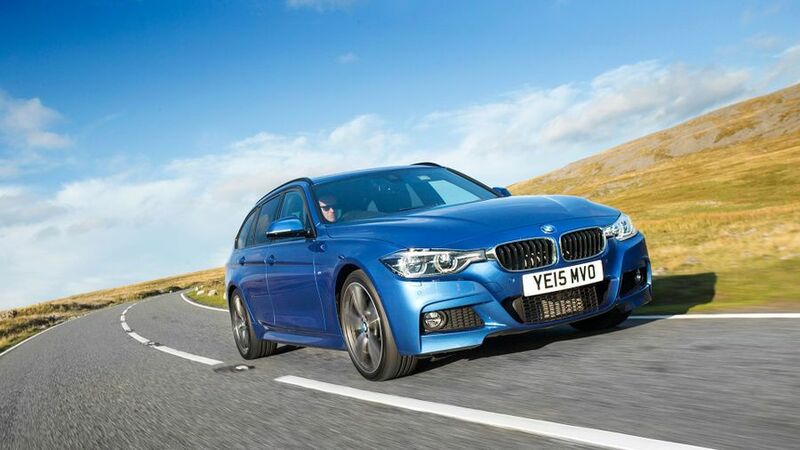 Most buyers are likely to pick the 320d, with 187bhp, or the de-tuned 161bhp version in the 320d ED. Still, even in eco-friendly trim, the 320d feels strong, accelerating from 0-62mph a fair bit quicker than its rivals. It feels punchy, too, especially when paired with the optional eight-speed automatic gearbox, which delivers lightning-fast changes without any awkward delays. The six-speed manual is fine, but the springy clutch won’t suit those who want to relax while behind the wheel. On the petrol side, there’s now a three-cylinder 1.5-litre unit (borrowed from Mini) in the entry-level 318i. We’ve not yet tried this model, or the 340i, which produces an M3-worrying 318bhp. Company car drivers love the 3 Series, and that’s partly because it costs so little to run. The CO2 emissions aren’t quite as low as they are for the Saloon due to the Touring’s extra weight, but it’s still true that all-but-one of the four-cylinder diesel models creeps below the 120g/km mark, giving affordable benefit-in-kind tax bills. 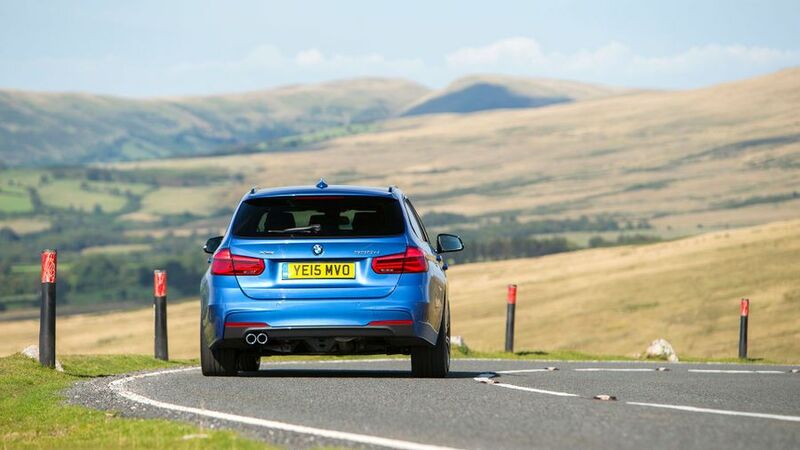 The best of them, the 320d ED on low-rolling resistance tyres and 16-inch alloys, also returns 70.6mpg. Low leasing costs, robust resale values and reasonable insurance groups also make welcome reading for fleet buyers. The generous spec of the ED Plus versions also means there is no need to fork out more for options, keeping your monthly bills lower. Sadly, the Warranty Direct Reliability Index still doesn’t provide much useful information on the previous 3 Series, but as a brand, BMW outperforms its major competitors like Jaguar, Mercedes and Audi, all of which sit lower in the manufacturer table. Trawl the owner reviews on our website and it’s hard to find a dissatisfied customer. While a few report the odd electrical gremlin with the iDrive system, and make note of the noisy engine, none say they have had any major mechanical issues, which is hopefully a good indicator of the robustness of the latest version. BMW has several reasonable fixed-price service plans to choose from to keep the worry of large bills away, and three-year/60,000-mile standard warranty cover. 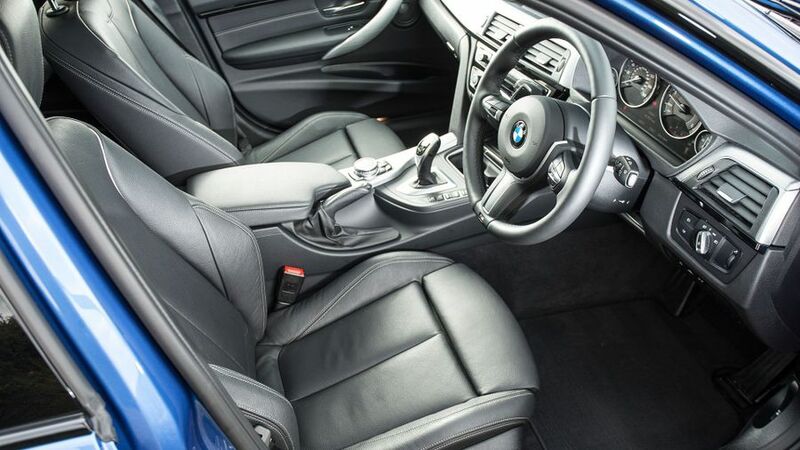 The 3 Series has all the usual equipment you’d expect to find, including Isofix mounting points for child seats, six airbags and two types of clever electronic safety nets for when the road gets slippery, to name a few. It can be upgraded to include a brilliant head-up display that projects key info onto the windscreen, or the ‘Driving Assistant’ pack, which includes loads of different sensors and monitors, such as lane departure warning and forward collision assist. It also has a system that’ll brake for you at speeds below 35mph if it senses you’re about to hit something, to prevent the kind of nasty shunts that often occur on clogged city commutes. However, this kit is optional, where rival cars include it as standard, and the Merc C-Class goes one (well, two) better, with eight standard airbags. Picking the options on your premium saloon is a devilishly tricky art: which are going to give you the best value, and which will needlessly push up the list price? BMW has simplified this situation somewhat by giving every 3 Series its Business sat-nav as standard. Every model also has reversing sensors, cruise control, automatic lights and wipers, DAB radio and Bluetooth connectivity. The frugal ED Plus versions get full leather upholstery and heated front seats, while Sport variants have larger alloys, a sportier steering wheel and supportive seats. Top of the range M Sport models get a lot of visual flair, but not much in the way of added interior kit. As with any premium model, though, we’d advise against going too mad with the options, as the price will quickly start to spiral upwards. 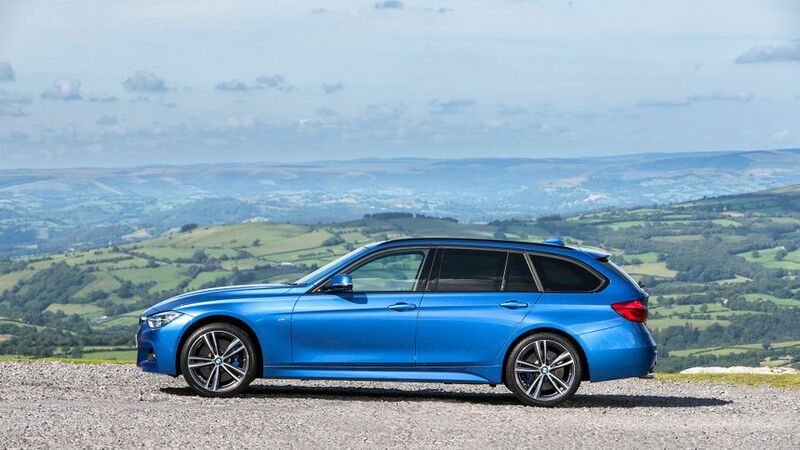 The 3 Series Touring is still one of the best compact estate cars you can buy. In the important area of practicality, it is very competitive with its premium rivals, and it’s more enjoyable to drive than most of them, too. Even in its most frugal, affordable-to-run guise, it has the performance to outrun most of its competitors. Even so, the Audi A4 Avant and Mercedes C-Class Estate have strengths of their own, so make sure you choose between them wisely.